Another publication by me is now available from Café Royal books. 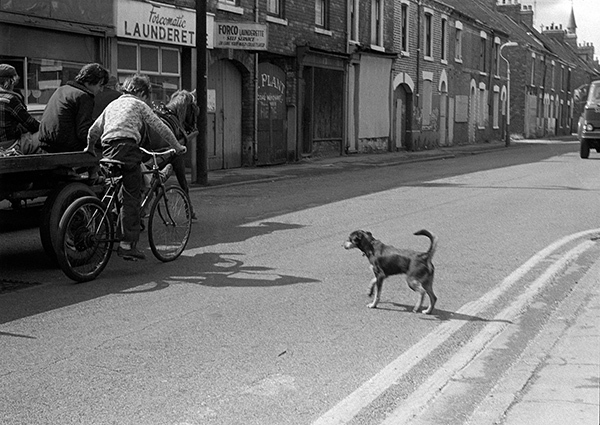 The Streets of Hull has 20 of my pictures taken between 1979 and 1985 as I walked around Hull working on my larger project which was shown and published as ‘Still Occupied: A view of Hull‘. You can see the whole new work on the Café Royal site. ‘Still Occupied’ was my first serious attempt to photograph the urban landscape. An extended study of the city of Kingston upon Hull, it was exhibited in the Ferens Art Gallery there in 1983. When I started this project in 1977, Hull was in the throes of a massive redevelopment, with many inner city areas being bulldozed and instant slums being created on its outskirts. It seemed to have learnt nothing from the mistakes I had fought against during the previous decade in inner-city Manchester, and to be a city that had turned its back on its heritage, which as I hope these pictures show, I had come to cherish. ‘Still Occupied’ is still available, though expensive in print, but there is a good PDF of it you can download immediatley for £4.50 and the web page also has a good preview. After the show at the Ferens I continued to work on the project for several years and am still occasionally going back to Hull and taking pictures there most years, most recently last July and in February 2017. 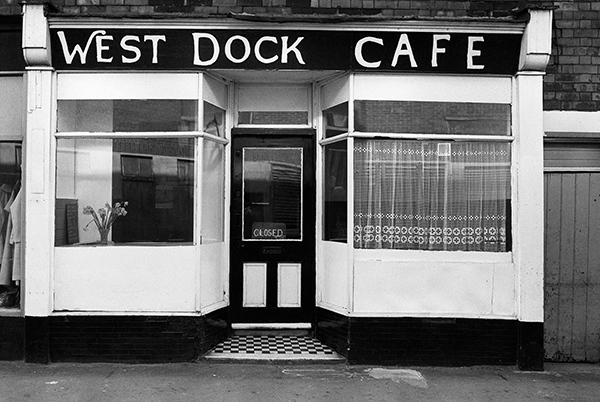 You can also still see my early pictures of Hull on my Hull Photos web site, which currently has black and white pictures I made from 1973 to 1986, though when I find time I hope to add some colour work as well as pictures from later years. Almost all of the pictures in the Café Royal book are on the site. The pictures have aged well in content if not always physically under the less than ideal storage conditions of my home. When I first made them there were some from Hull who felt they were showing an unfortunate aspect of the city which they wanted to dismiss and move away from. Now I think they are seen differently, reflecting a vital and under-recorded part of its heritage. I decided against putting any text with the images. 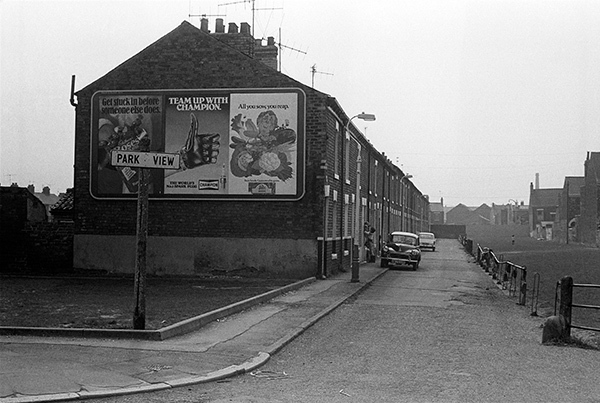 Some from Hull may recognise where they were taken, though much has disappeared. But I think the pictures speak for themselves. This entry was posted on Thursday, February 7th, 2019 at 10:06 am and is filed under Hull Photos, My Own Work. You can follow any responses to this entry through the RSS 2.0 feed. You can leave a response, or trackback from your own site.